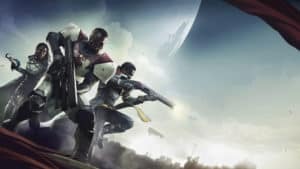 PlayStation Plus Games September 2018: Destiny 2, God of War III and more! PSA: PlayStation 3 and PlayStation Vita games will no longer be a part of PlayStation Plus from 8 September 2019. In September 2018, PlayStation PlayLink owners with PlayStation Plus memberships can grab Knowledge is Power for free! This party game is sure to entertain as you outsmart your opponents with a massive variety of trivia questions and tactical challenges. Be sure to have a compatible mobile device and companion app and you’ll be all ready to play! 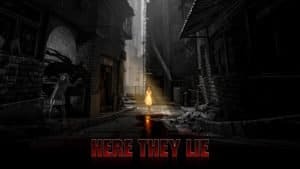 In September 2018, PlayStationVR owners with PlayStation Plus memberships can grab Here They Lie for free! Explore a nightmarish city inhabited by strange, malevolent creatures in this first-person horror game, where unsettling encounters and environments come to life. In September 2018, PlayStation owners with PlayStation Plus memberships can grab Destiny 2 for free! In September, PlayStation owners with PlayStation Plus memberships can also download God of War III Remastered for free. 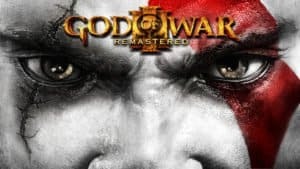 Set in the realm of brutal Greek mythology, God of War III Remastered allows players to take on the fearless role of ex-Spartan warrior, Kratos, as he rises from the darkest depths of Hades to scale the very heights of Mt Olympus and seek his bloody revenge on those who have betrayed him. Armed with double-chained blades and an array of new weapons and magic, Kratos must take on mythology’s deadliest creatures while solving intricate puzzles throughout his merciless quest to destroy Olympus. In September 2018, PlayStation 3 owners with PlayStation Plus memberships will be able to download and enjoy Another World – 20th Anniversary Edition for free. This title is available as a Cross Buy title with PlayStation 4 and PlayStation Vita. 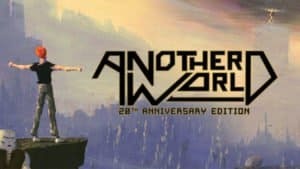 Another World is a pioneer action/platformer that released across more than a dozen platforms since its debut in 1991. Along the years, Another World has attained cult status among critics and sophisticated gamers alike. 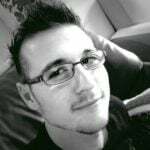 It is a 2D platformer with a unique vector-based aesthetic that will have players come back for more every time. 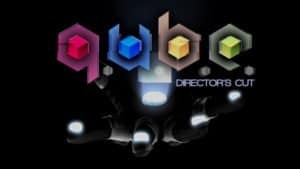 In September 2018, PlayStation 3 owners with PlayStation Plus memberships can also download QUBE: Director’s Cut for free. This title is available as a Cross Buy title with PlayStation 4. QUBE: Director’s Cut is a brain-twisting first-person puzzler. Using special high-tech gloves, you manipulate the environment around you – build bridges, shift walls, open new paths – in order to journey deep into a mysterious giant cube hurtling through space towards Earth and destroy it from within before it eradicates all life on our planet! 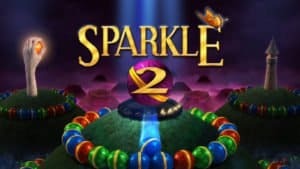 In September 2018, PlayStation Vita owners with PlayStation Plus memberships can download Sparkle 2 for free. This title is available as a Cross Buy title with PlayStation 3 and PlayStation 4. 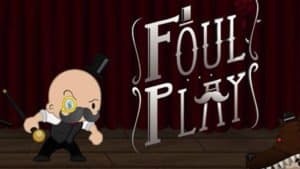 In September 2018, PlayStation Vita owners with PlayStation Plus memberships can also download Foul Play for free. This title is available as a Cross Buy title with PlayStation 4.